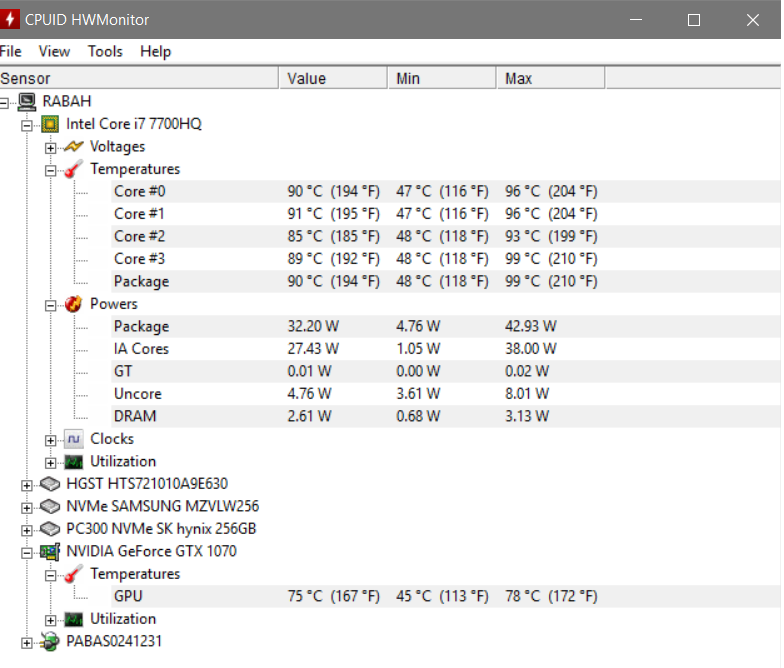 Re: New Alienware 15 R3 OVERHEAT ?? 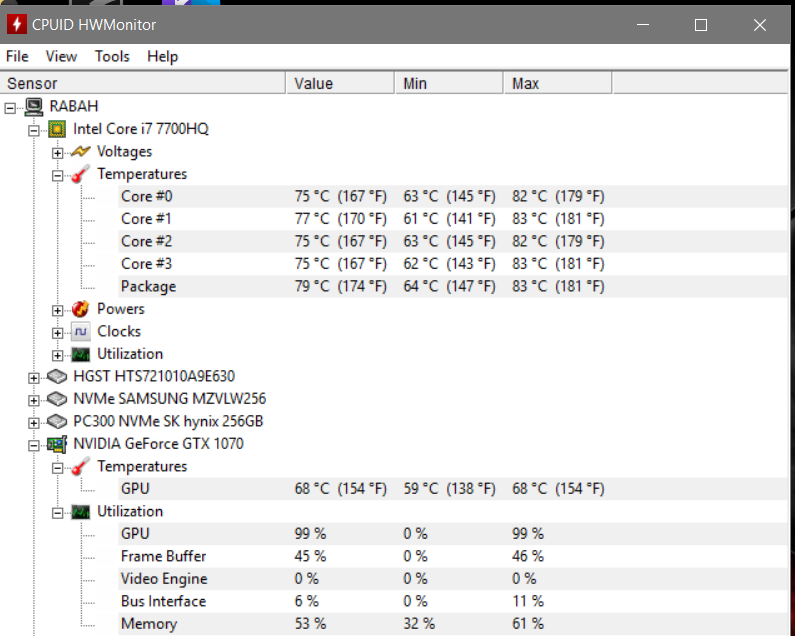 New Alienware 15 R3 OVERHEAT ?? Recently i purchased an Alienware 15 r3 with 7700HQ and gtx 1070. I read a lot about overheat issues, yet i read in intel website that as long as CPU doesn't reach 100 degree, its ok, but ofc i will not wait until it reach this temp. So i want to know if this temperature is ok ?? I was playing Dishonored 2, Everything is almost on Ultra with G-sync enabled. After enabling the CPU performance mode i can see no option related ot everclock, what might be the problem ?? I read that this OC function is only available K CPU. Hallo rabah1991. Great Job with the Screenshots. your first Screenshot looks somewhat worrying. the second one looks pretty good actually and the last one is even better. 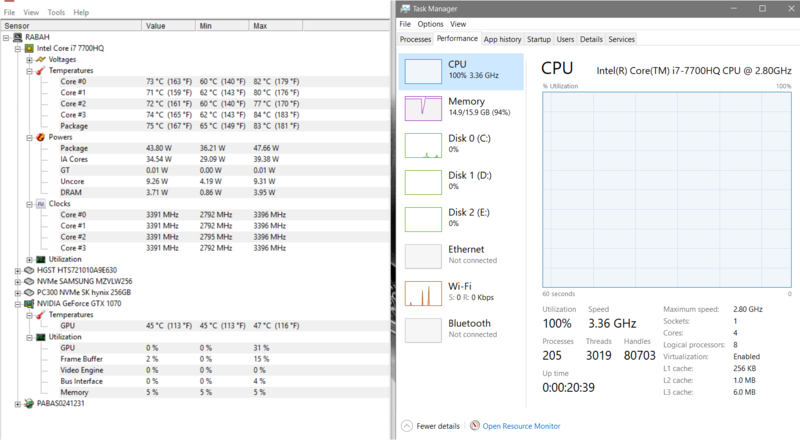 the CPU Temps should stay below 85 °C and this is the Case here. does the CPU Boost Clock Funktion work properly when Undervolted? if yes, then leave it like that and be happy. on intel laptops turbo stops working when you reach 90C, thermal starts at 100C, this is intel's own hardware implementation in the CPU but manufacturers can override this, stopping turbos at lower temperatures and thermal throttling at lower temperatures. I have an alienware 13 which would throttle the gtx 650m at 70C fixed with custom bios. Reapplying thermal paste with a good one could help combined with a cooling pad. well actually you fixed it on your own but Thank You. Actually i can't understand all this stuff about thermal throttling and cooling. I just want to make sure i am in the safe zone when pushing my laptop to its limit.